Design, illustration, text editing, layout. 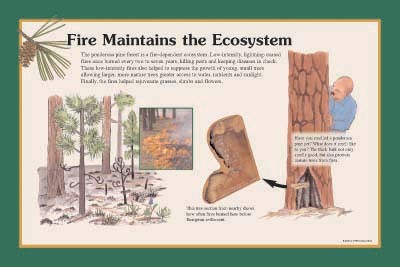 Wayside panels for overlooks at Mormon Lake and Upper Lake Mary on Coconino National Forest. Wayside panel at historic wetland, Las Lagunas de Anza, on the Anza Trail. 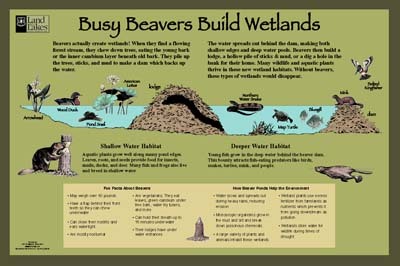 Wayside panel at a beaver wetland. 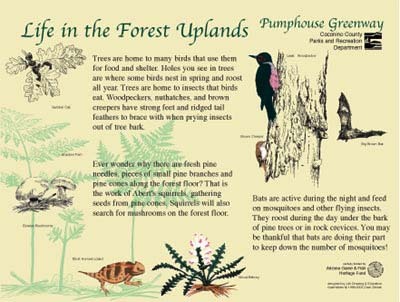 3 interpretive wayside signs along a wetland trail. text writing, design, layout, fabrication management. 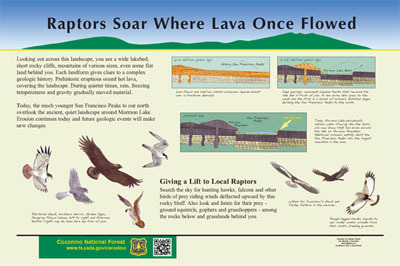 3 outdoor information panels for school nature trails using student art. 4 outdoor information panels for public viewing gardens and greenhouse. 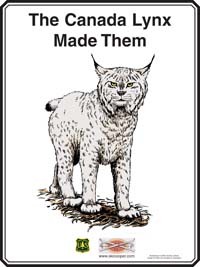 Two of 25 outdoor panels for ski lift towers, where skiers read about winter wildlife multiple times a day as they ride back up the slopes between runs. 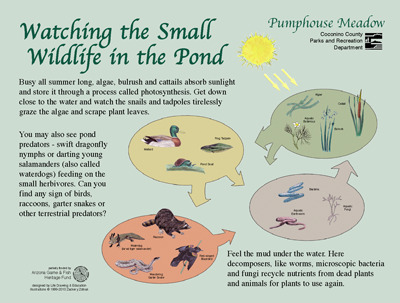 1 outdoor information panel for public viewing area of frog breeding pond on a private ranch, Huachuca Mts., Arizona. Produced by Life Drawing & Education. 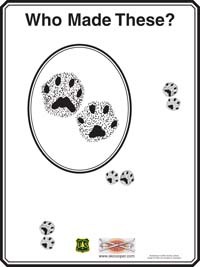 line art, design, layout, printing management. 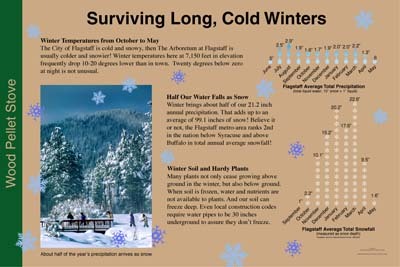 3 indoor information panels for one-day public event, Feb. 3, 2007, Flagstaff, Arizona. line art, watercolor, design, layout. 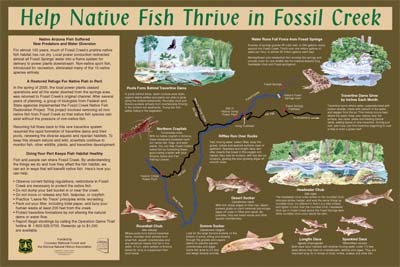 1 information panels for three roadside kiosks along Fossil Creek near Childs and Strawberry, Arizona. line art, text, design, layout, fabrication management. 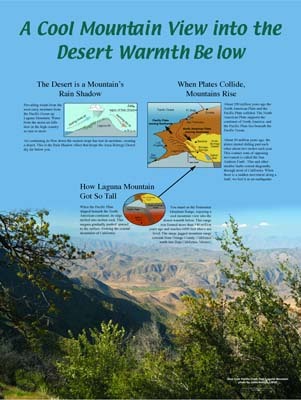 1 panels for interior exhibit at the Laguna Mountain Visitor Center, Cleveland National Forest. National Park Service Salt Lake City, Utah. 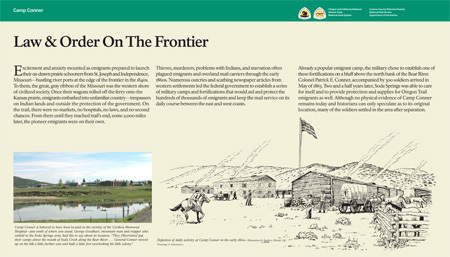 line art for 7 wayside signs at historic sites in Caribou County, Idaho. line art, watercolor, design, layout, fabrication management. 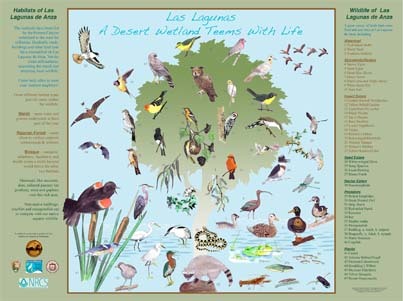 1 of 11 wayside panels for Ten X Campground Nature Trail, Tusayan, Arizona. 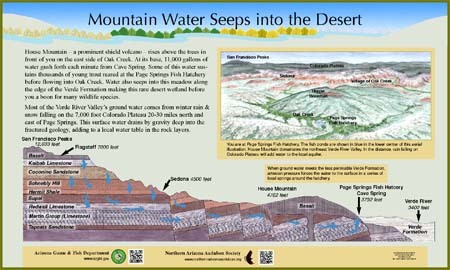 © 2003 Arizona Game & Fish Dpt. 1 of 5 wayside panels for trailside signs in Pumphouse Greenway, Flagstaff, Arizona. 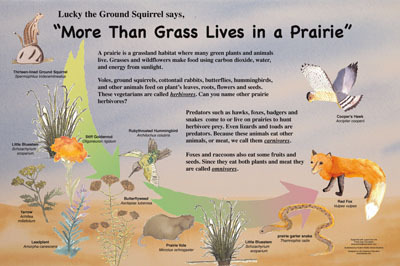 © 2003 Arizona Game & Fish Department. Lone Pine State Park overlooks. line art, spot color, design, layout. 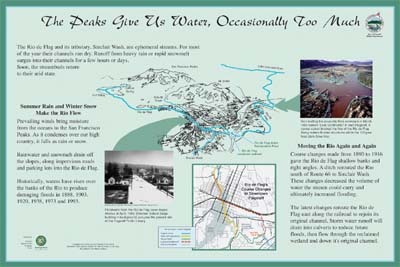 Bureau of Land Management, Canyon City, Colorado, 2001. 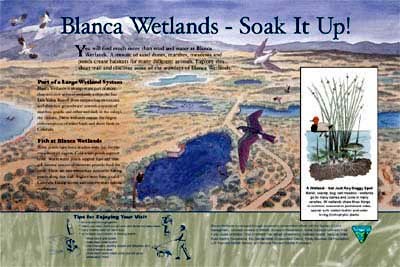 1 of 4 wayside panels on pathways at Blanca Wetlands, Alamosa, Colorado. Color Wildlife & Botanical Ills. / B&W Wildlife & Botanical Ills.